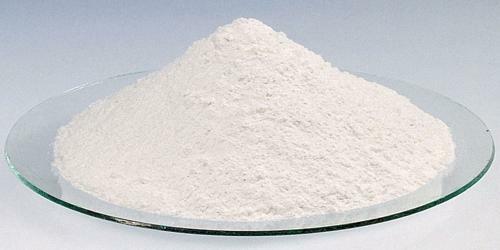 Magnesite (MgCO3) is a white, colourless, or lightly tinted mineral consisting of naturally occurring magnesium carbonate in hexagonal crystalline form, which is a source of magnesium and also used in the manufacture of refractory bricks. Magnesium-rich olivine (forsterite) favors production of magnesite from peridotite. Iron-rich olivine (fayalite) favors production of magnetite-magnesite-silica compositions. It can also be formed by way of metasomatism in skarn deposits, in dolomitic limestones, associated with wollastonite, periclase, and talc. 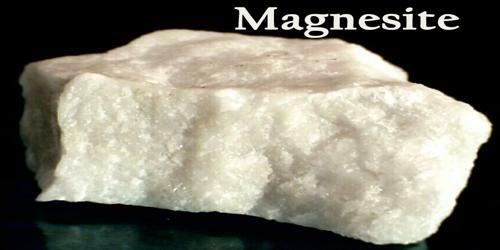 Magnesite belongs to the calcite group of minerals, a group of related carbonates that are isomorphous with one another. They are similar in many physical properties, and may partially or fully replace one another, forming a solid solution series. All members of the calcite group crystallize in the trigonal system, have perfect rhombohedral cleavage, and exhibit strong double refraction in transparent rhombohedrons. An interesting Magnesite occurrence is in Brumado, Brazil, where a deposit of clear, well formed, rhombohedrons similar to Iceland Spar Calcite found. Until this find, such crystals were, although identical in appearance to Iceland Spar Calcite, they are much rarer and sought after. 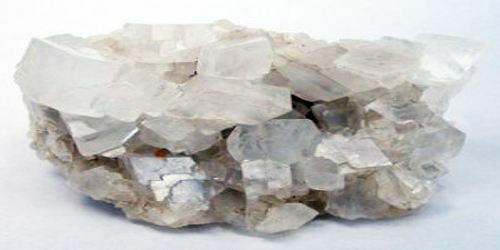 Common Iceland Spar Calcite has been wrongly labeled by some unscrupulous dealers as Magnesite to stimulate sales. The mineral has formed as an alteration product from magnesium-rich rocks or through the action of magnesium-containing solutions upon calcite. Notable deposits are those at Radenthein, Austria; the Liaotung Peninsula, Liaoning Province, China; and Clark County, Nev., U.S. Iron is usually present, and a complete chemical substitution series exists between magnesite and siderite in which iron replaces magnesium. 2 Mg3Si2O5(OH)4 + 3 CO2 → Mg3Si4O10(OH)2 + 3 MgCO3 + 3 H2O. Magnesite was detected in meteorite ALH84001 and on planet Mars itself. Magnesite was identified on Mars using infra-red spectroscopy from satellite orbit. Controversy still exists over the temperature of formation of this magnesite. Low-temperature formation has been suggested for the magnesite from the Mars derived ALH84001 meteorite. The low-temperature formation of magnesite might well be of significance toward large-scale carbon sequestration. 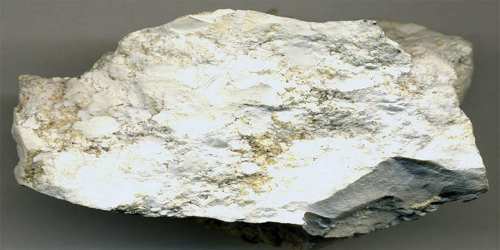 Magnesite is an important ore of magnesium, and used as insulating material. White Magnesite is also used as a minor collector’s gemstone, polished into beads and spheres as well as carved into figures. These forms of Magnesite often have black or brown rock veins running through the mineral. Magnesite can also be used as a binder in flooring material. Furthermore, it is being used as a catalyst and filler in the production of synthetic rubber and in the preparation of magnesium chemicals and fertilizers.